I’ll be 60 at the end of this month. It’s hard to believe. Where has time gone? It seems like yesterday I was a young single man in Bible school. The fire of God and zeal for the Lord that was in my heart then still remains, only in a different way. The trials and seasons of a man’s life have a way of maturating wisdom, patience, and love in him if he’ll stay close to Jesus. I don’t have many regrets in my life, but one thing I wish I learned earlier was to love better. But love is a fruit and it doesn’t grow overnight. For example, whenever I’d try speaking to a God mocker or a scoffer who was throwing insults at me I’d say something like, “We’ll see how tough you are when you stand before God and He tells you to depart from Him and casts you into hell.” Unless really prompted by the Spirit to do so, I would never say that to a God mocker today. Instead, I’d feel so sorry for him and see him in a totally different light. The love that has been in me since my new birth is stronger and more developed now (Rom. 5:5), and I still have a long way to go. I see this same work done in John the beloved as he went from a son of thunder who wanted to call fire down from heaven (Lk. 9:54) to a great apostle of love who writes his final letters to the saints so tenderly (1,2,3 John). I, too was a son of thunder, and did not know what spirit I was of. Ha! “Like the apostle John and his brother James I use to be a son of thunder until the Lord my God tucked me under His wing, nursed me, cared for me, and patched up my wounds. Then He sent me from the nest into all the world and I became a lovebird, sharing that great love with others wherewith the Lord my God loved me first.” I wrote it down and dated it: (12/8/82). I used to love to preach more than I loved people, but everyone has a starting point. I’d preach without hardly taking a breath, so it seemed, and sometimes I didn’t have as many words as I did fire. I was described by someone as a fire hydrant, but instead of water gushing forth, fire would come out. I burned many people until the Lord began to teach me and lead into a greater love. Today the intensity of the fire of God is still there, but the love for people has grown. Thank God. As I celebrate my 60th birthday on July 28, which also happens to be my wedding anniversary to Carolyn, my greatest aim and goal in my remaining years is not to have a bigger ministry or greater influence, or to even write more books, but it is to love others better with the love of God and to see them though God’s eyes. When you go that route it is difficult to miss God in your life because your motives will then always be pure. The real love of God has two outstanding characteristics. It is quick to repent and quick to forgive. Boy, if you ever cultivate those two traits in your walk with God, you will cut off a major access point to the devil in your life. He will not be able to easily steal, kill, and destroy you. I know one thing that has helped me immeasurably throughout my marriage has been that I refuse to let the sun go down on my wrath (Eph. 5:26). I refuse to go to bed angry or in strife with my wife. In the MEV translation the second part of that verse reads this way: “Don’t go to bed angry.” Marriage is the strongest bond of agreement and you would be unwise to choke that bond by allowing strife into your marriage. As one older man of God used to say, “I’ve passed up wonderful opportunities to stay in strife with my wife.” Be the bigger man and apologize and make it right before going to bed. This counsel will save your marriage, your life, your health, and secure your eternal reward. God’s protection, favor, and prosperity will be upon your children and children’s children all the days of your life. A man of love will stand in the gap for others who have sinned and ask God to forgive them and give them life (1 Jn. 5:16), instead of wishing them ill-will or judgement. Love covers a multitude of sins. 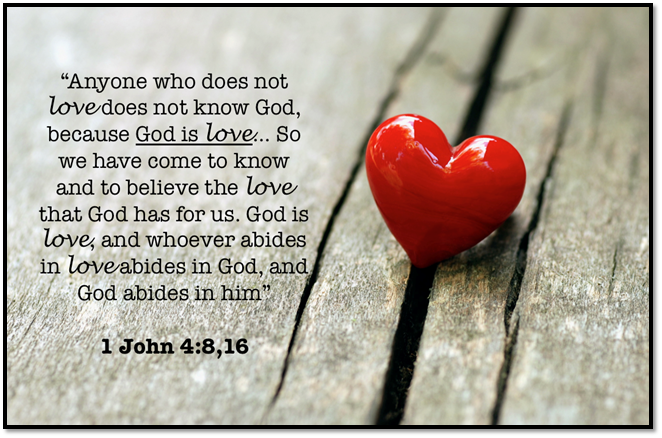 Love is the greatest of all Christian attributes and love always wins. So if you want to offer me a gift for my 60th birthday, pray Phil. 1:9-11 and Eph. 3:14-21 for me. I will be very grateful. Happy Birthday and anniversary coming up! So you have just become middle age if we have 120 years! A great article, I’m there with you, learning to love more at every opportunity! Some times easier than others. Think of you all often, thanking a God for our wonderful friendship, love and blessings to all of you. Your encouragement means much to me. You are a woman on the right course who is truly taught by God. Love is indeed the safeguard of all safeguards. Faith only works by love, so we can say to the devil when he seeks an entry point, “take your hands off me, get off these premises, I’m walking in love.” The devil has no access to the one who keeps God’s only New testament command to love (Jn. 13:34). Good blog….”love conquers all”. Was so great seeing you and Caroline at FCC a few weeks ago. It was short but sweet. I had asked Pastor John several times about a year ago to invite you. Apparently, God had it planned all along and of course, His timing is perfect. It was a joy and an honor to minister again where it all began with my family’s salvation there many years ago. Perhaps we will be favored to come again. Bless you brother!